It was one of those afternoons coming down from the hills with the light in our eyes I see these trees catch fire and yell STOP! 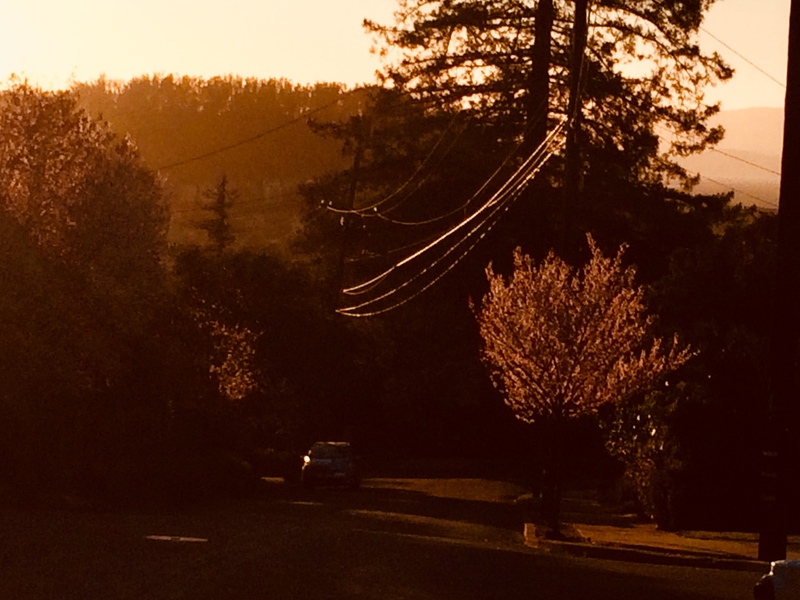 The Husband obeys and I’m out of the car before it’s all the way stopped..Not having a fancy camera I’m happy with this iPhone capture. 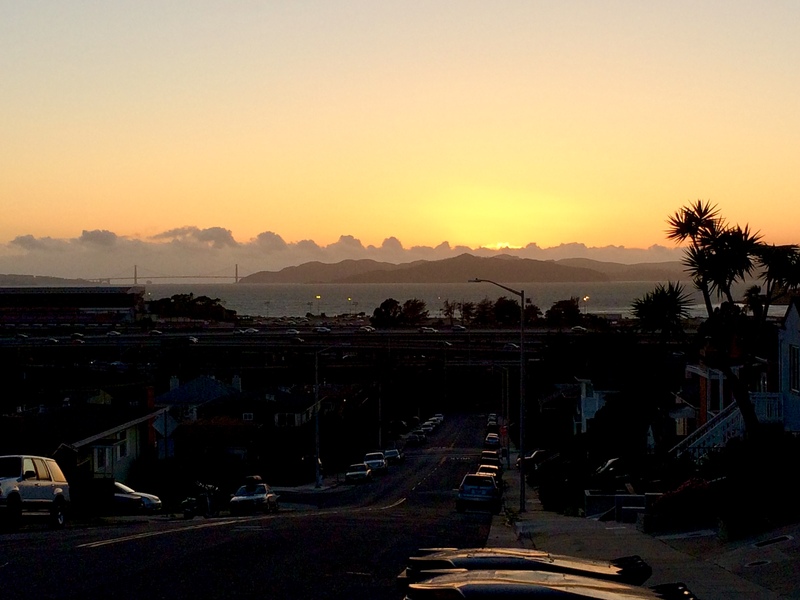 A little later on the top of the hill I captured this as the sun set over the Bay. 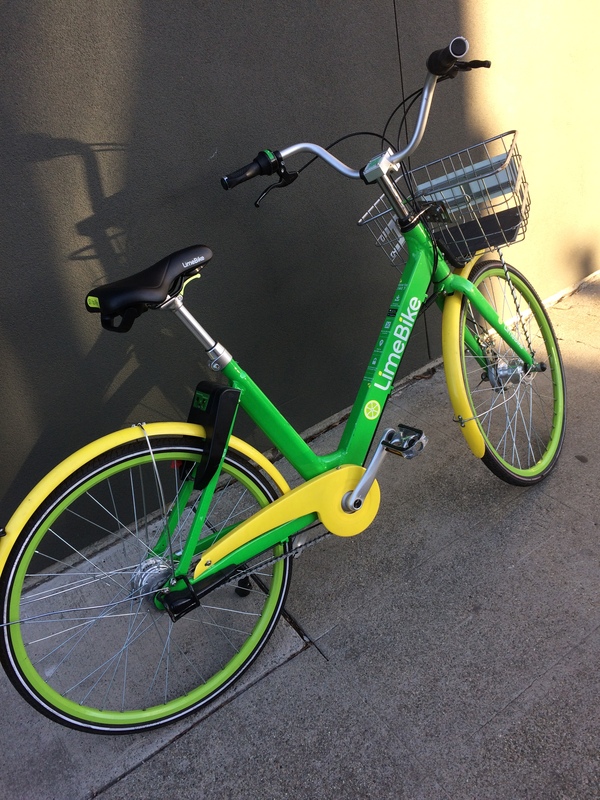 If you don’t want to drive you can take a Limebike an app operated Bike hiring service I see all over town. this one posed so nicely in the afternoon sun. One More Turkey Parade in the morning light. 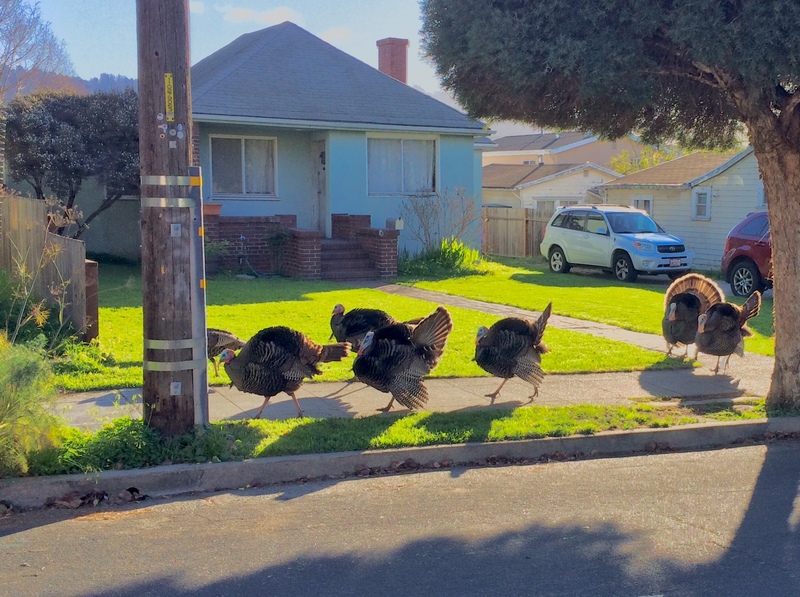 This entry was posted in Animals, Lime bikes, Nature, Photography, Wild Turkeys and tagged nature, Photography, San Fransisco Bay, Travel, wild turkeys. Bookmark the permalink. The lawn behind the turkeys goes well with the LimeBike. You made good use of the sunlight in this collection, Carol. I was thinking that about the lawn and the bike. I had to brighten the shadows so the Turkeys showed up which limed the lawn. Thanks. Wow — I mean: gobble. Are these wild turkey strutting down the street? I’d be really intimidated. I love the different layers behind the freeway. Great colour.